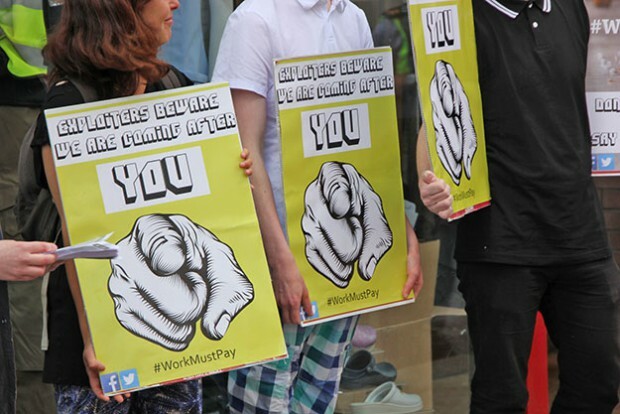 IN FEBRUARY of this year, a collection of activists from different trade unions, Sinn Féin, the Connolly Youth Movement and the Unite Youth Activist Group formed ‘Work Must Pay’ in response to the JobBridge scheme. 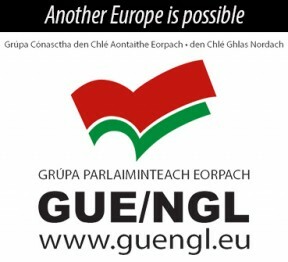 The group set out to not just condemn the Government for implementing such an exploitative scheme but to hold businesses who sought to take part to account. This would be done by a very public naming and shaming of businesses that used JobBridge and it has met with some success already. Established initially in Dublin, it has seen the organic growth of the movement in Cork, Limerick and Kerry. The rising prevalence of mandatory internship schemes being foisted on the unemployed both in Ireland and across the world is nothing less than an attack on the pay and conditions of exisiting workers. In Ireland we have the JobBridge and Gateway schemes proposed (depressingly) by a Labour Party minister, Tánaiste Joan Burton. These schemes are supposed to provide crucial experience and a foot in the door for young people stuck in unemployment but the reality is one of forced free labour which leaves many young people feeling exploited and hopeless without any benefit to their search for employment. This is not just anecdotal or subjective commentary. Research into the JobBridge scheme shows clearly that it is a faulty scheme which does not benefit most involved, and this is before you consider the injustice of forced free labour. Only 27% of JobBridge interns get full-time work within a year of the placement. 61% of those were highly placed to re-enter the jobs market anyway. The Government claims a much greater success rate but (as with all Government claims on employment) the devil is in the detail. Most people who gain employment within a year of their internship only get seasonal or part-time work. The scheme is also exploited by businesses which have no training programmes at all. There have been adverts for JobBridge positions cutting chips in a takeaway, juicing vegetables at a trendy cafe, or collecting glasses in pubs. Other positions have been sought for jobs which already require years of training, such as teachers and accountants. Bizarrely, a number recruitment agencies have also sought unpaid interns. All this is done by interns for €50 on top of their dole entitlements, which barely covers the expense of going to work at all. Many interns are then cast aside when their six or nine months are up, only to be replaced by another intern. This exploitation has not gone unnoticed. It was highlighted by Sinn Féin on its introduction. Numerous trade unions also condemned the scheme, including Unite, the Communications Workers’ Union and IMPACT. Activists in Work Must Pay feel, however, that more must be done. The tactic of the group is to contact a business advertising a JobBridge position, outline the failings of the scheme and request that they remove the advert and commit to paying at least the minimum wage in future. If the business refuses to engage they are given another opportunity. Failing that, we launch a protest picket on their premises, complete with placards, leaflets and loud chanting. Many businesses have so far acquiesced to our demands (some more grudgingly than others). Some business owners have been defensive within reason while others have been aggressive to the point of physical contact and insults. Work Must Pay activists remain respectful but dedicated to their aim of challenging exploitation. The public support for our campaign and opposition to JobBridge is clear when we take to the streets. Our critics argue that some people have benefited from JobBridge. We are delighted whenever someone gets full-time, paid employment in a job they enjoy but no one should ever have to labour for free for nearly a year to be allowed a job. The campaign’s principle is clear as is our name – work must pay. We cannot allow unpaid work to become the norm for young people. We cannot accept this exploitation.